In addition to providing individual scholarships and grants to West Hills students and teachers, the Foundation also invests in substantial gifts that benefit the school at large. In alignment with the Foundation's mission, the gifts fund projects to modernize technology and enhance campus facilities in order to advance academic, athletic, and visual & performing arts excellence. Audio System for Gymnasium - In 2014, thanks to donations and participation in the Gala and Golf Tournaments, the WHHS Foundation donated half of the cost to replace the old audio system in the gymnasium to a new, $8000 state-of-the-art system. 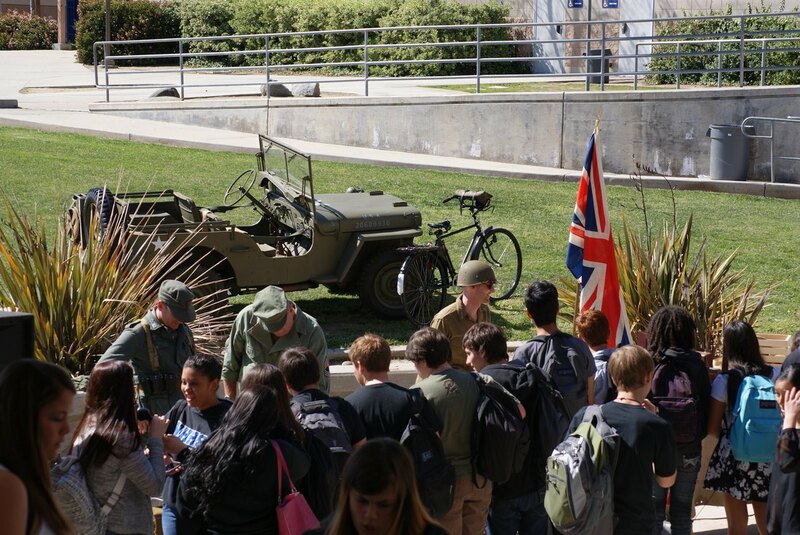 WWII Reenactment​​ - Funds raised by the West Hills High School Foundation, in conjunction with the Frank Yancey Memorial Foundation, have also been used to help support the school's annual WWII reenactment.